Simply the best premium compost that you can buy - your plants will thank you for using it! This premium compost is NOT available to consumers from garden centres and DIY outlets and is not to be confused with cheap and cheerful compost – this is a superior blend and will give perfect results – every time! Available in 2 x 40L bags that we will deliver to your door for the ultimate convenience! Each bag contains a 40 litres of compost when packed. 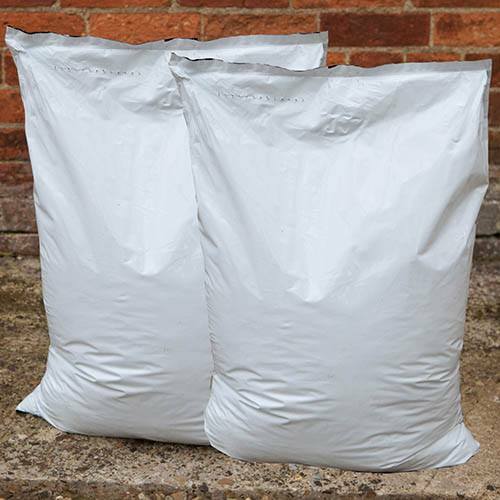 Supplied as 2 x 40 litre bags (at packing), weighing approx. 15-18kg in total. Blend of 20% composted wood fibre, and 3 grades of white and black peats, Lime to balance pH, plus starter base fertiliser N:P:K in balance. Also contains Wetting Agent for even water distribution and re-wetting.